The bottom of the Championship continues to excite and surprise as Alloa enriched their survival prospects and pulled Falkirk back into the drop zone with this gritty victory. Jordan Kirkpatrick scrambled in a winner in the 86th minute only seconds after climbing off the bench after Zak Rudden had cancelled out Dario Zanatta’s opener for the Wasps. Bottom side Alloa, who beat leaders Ross County last weekend, go into Tuesday’s clash with Morton knowing victory will propel them out of the bottom two. 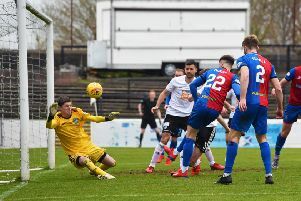 “Great testament must go to the players because when you concede an equaliser it would be easy for the players to go under because of the pressure but we rode out that storm and went on to get the late goal,” said Alloa manager Jim Goodwin. Zanatta opened the scoring in the 38th minute when he slammed a low drive past Harry Burgoyne from close range before Rudden directed Deimantas Petravicius’ low cross into the net only 20 seconds after the restart. 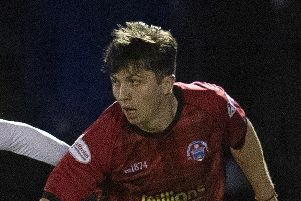 The Falkirk defence were guilty of not dealing with Kevin Cawley’s long ball as Kirkpatrick pounced to net the winner.